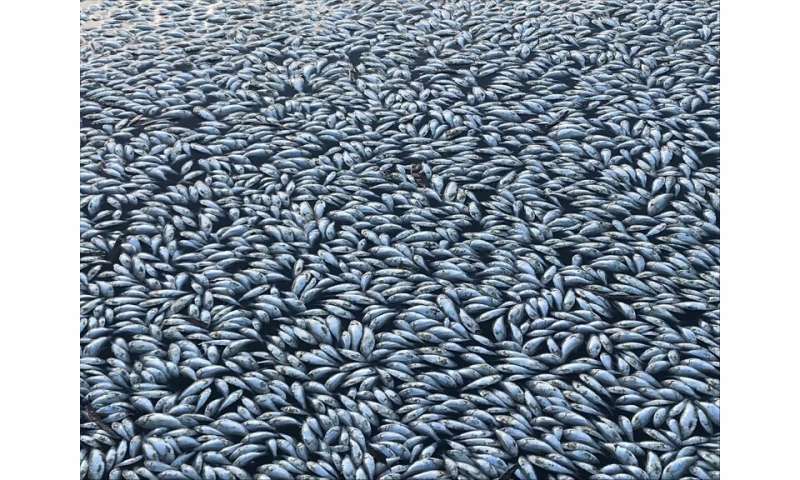 Just weeks after up to a million were killed—with scientists pointing to low water and oxygen levels as well as possibly toxic algae—another mass death occurred in the key agricultural region. 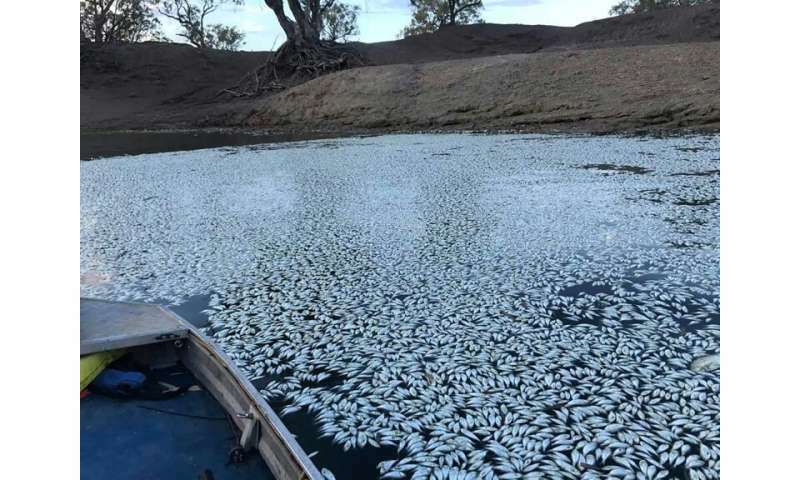 Fisheries officials were also investigating reports of another fish kill further south in the Murrumbidgee River, which flows into the Murray-Darling system. With temperatures expected to rise and no rain forecast, there remained a "high risk of further fish kills over the coming days and week", officials said. Six aerators were installed along parts of the Darling River to give surviving fish localised oxygenated water. Queensland's major Daintree River rose to 12.60 metres (41 feet)—a level not seen in over a century—over the weekend.